Brady Gustafson and the Marines from 2nd Battalion, 7th Marine Regiment were rolling through the village of Shewan, Afghanistan, in July 2008 when they suddenly noticed villagers shrinking away from the convoy of mine-resistant ambush-protected vehicles, an ominous sign of what was to come just moments later. 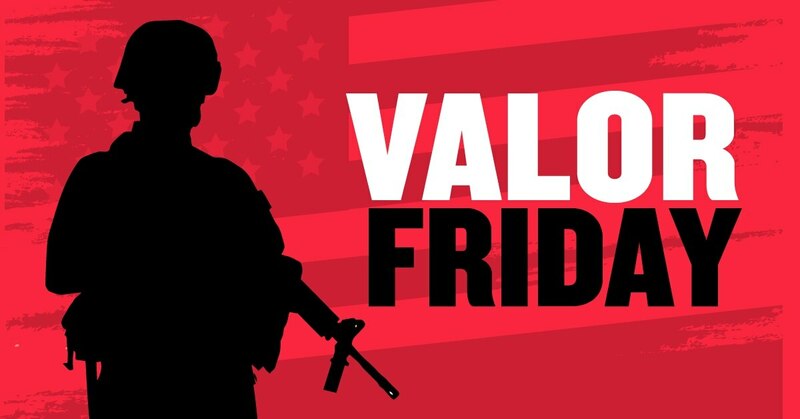 With the streets virtually clear of civilians, all hell broke loose as an estimated 100 Taliban fighters attacked the convoy with rocket-propelled grenades and machine-gun fire, part of a calculated, multiple angle ambush. Gustafson’s MRAP was quickly struck by an RPG that ripped through the hull and exploded inside. The blast shredded his lower leg and sent an inferno up through the turret, where he was manning the mounted M240B machine gun. Composing himself amidst a barrage so intense that it was splintering the ballistic glass of the turret, the lance corporal from Eagan, Minnesota began returning fire wherever he saw a muzzle flash. When he attempted to stand in an effort to get a better view of the field of fire, debilitating pain shot through his body. About six inches of bone and flesh had been ripped from Gustafson’s right leg. His foot dangled, lifeless, connected to his leg only by his calf muscles. 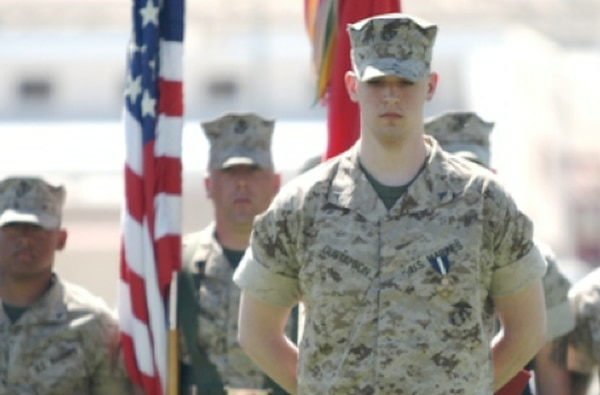 Despite the gruesome injury, Gustafson resumed firing while another Marine, Lance Cpl. Cody Comstock, simultaneously applied a tourniquet to his battered leg. When a vehicle to the rear was struck by an RPG, Gustafson shouted instructions at his driver, who had just regained consciousness, to push the fire-engulfed truck out of the kill zone. Gustafson’s MRAP then became enveloped by the fire from the other vehicle as his driver pushed the Marines to safety. All the while, the lance corporal stayed on the trigger, sending hundreds of rounds down range — even reloading the gun’s 17-pound belts twice — in an effort to provide cover for the Marines to exit the burning vehicle and move to safety. One of those Marines in the charred vehicle was then-1st Lt. Andrew S. Bohn, Gustafson’s platoon commander. “Of every Marine I talked to, they all said if they had been hit in the leg with an RPG, the last thing they’d be thinking about is staying in the turret,” Bohn said in a 2009 Marine Corps release. After nearly melting the barrel from sending over 400 rounds toward enemy positions, Gustafson finally acquiesced to the requests of other Marines to tend to his wounds when he swapped his place in the turret with another Marine. The 21-year-old sergeant led three charges up the hill in the face of enemy infantry and mortar fire. “Sorry guys, I can’t keep going,” he reportedly said as he was finally pulled from the gun. An escape from the intense firefight eventually gave Bohn the chance to assess the damage. Not a single Marine had been lost, largely due to the waves of fire unleashed by the severely wounded Gustafson. Gustafson, who now wears a prosthetic lower leg, was awarded the Navy Cross for his actions. “He recognizes the importance and honor of the award, but at the same time, he feels funny about being recognized,” Gustafson’s mother, Kim, said in the 2009 release. “He was just fighting for his guys’ lives." “Fighting for his guys” made Gustafson a well-deserved recipient of the Marine Corps' second highest award for valor, then-Lt. Col. Richard D. Hall, former commanding officer of 2nd Battalion, 7th Marines, said in the release. Gustafson left the Marine Corps in 2008 as a corporal. His Navy Cross citation can be found here.